Senator Lynn Beyak is embroiled in yet another scandal. Her controversial stance on the legacy of Indian Residential Schools has returned to the public’s attention after Indigenous journalist Robert Jago published a short piece in The Walrus about the over one hundred “Letters of Support” the senator received following her March 2017 speech in the Senate, which were subsequently published on her website. Among other highly dubious claims, in her speech she praised residential schools for their “remarkable works, good deeds and historical tales”––all of which stand in sharp contrast to the findings of the Truth and Reconciliation Commission in 2015. After refusing to apologize for these remarks, she was forcibly removed from the Senate’s Standing Committee on Aboriginal Peoples. And just a week ago, she was ousted from the Conservative caucus after rebuffing calls to remove the more racially-charged letters from her website. Senator Beyak’s published “Letters of Support” represent an archive of Indigenous stereotypes that enable discussion and reflection about the history of settler colonialism in Canada and North America more broadly. The ignorant and racist sentiments expressed in the “Letters of Support” do not exist in a vacuum; in fact, their origins can be traced to the earliest points of contact in the late fifteenth and early sixteenth centuries. The names of the authors of these letters could easily be substituted by that of a French trader in the 1750s or an Indian Agent in the 1920s. The discourses have not changed all that much. These comments are modern iterations of racialized discourse of Indigenous liquor consumption, which has been a prominent theme in settler stories about First Peoples since Europeans introduced alcohol to North America in the sixteenth and seventeenth centuries. Often referred to as the ‘drunken Indian’ stereotype, these assumptions have reinforced the false perception that Indigenous peoples are genetically and culturally susceptible to alcohol addiction, which, in turn, has perpetuated misguided stereotypes of Indigenous peoples as lazy, violent, and self-destructive. 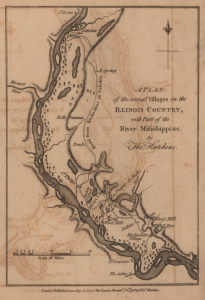 French colonial correspondence from the Illinois Country (present-day Missouri and Illinois) highlights an eighteenth-century example of the stereotype. In 1750, a Jesuit priest characterized the region’s Indigenous population based on their patterns of alcohol consumption, writing, “As a rule, the Illinois are very lazy and greatly addicted to brandy.” Similarly, in a 1756 letter, a French merchant in the North American interior outlined, “The Indians are excessively fond of this liquor, and grow furious when they have drank too much of it . . . I have sometimes seen drunken Indians kill each other with hatches and clubs.” These eighteenth-century discourses were constructed based on the divergence of European and Indigenous drinking cultures and ultimately reinforced European perceptions of Indigenous inferiority and backwardness. Comparing the modern discourses in Senator Beyak’s “Letters of Support” back to the eighteenth century highlights the historical continuity of Indigenous stereotypes and their contemporary impact. The ‘drunken Indian’ stereotype has perpetuated the incorrect assumption that Indigenous peoples have a genetic predisposition to alcohol abuse and misrepresents the historic factors that have led to established substance abuse issues. As Richard Thatcher outlines in Fighting Firewater Fictions, there is no evidence of a genetic or biological susceptibility of Indigenous peoples to alcoholism. Various studies have also illustrated that the trauma inflicted by settler colonialism and substance abuse in Indigenous communities are linked. Like colonial discourses from the Illinois Country, modern stereotypes that perpetuate false information regarding Indigenous alcohol consumption establishes a perceived social hierarchy based on cultural differences that justifies settler colonialism and places the onus solely on Indigenous communities for their social problems. Similarly, several authors of Senator Beyak’s “Letters of Support” describe Indigenous peoples as shiftless and lazy. Doug wrote on 30 March, “These people need to join the commerce world and work for money. The handouts have taken their people nowhere, and their constant backward-looking mentality serves no useful purpose.” And on 10 March, Paul stated bluntly, “I’m no anthropolgist [sic] but it seems every opportunistic culture, subsistance [sic] hunter/gatherers seeks to get what they can for no effort.” Both of these letters represent a commonly-held (and racist) belief that laziness is not an individual quality, but rather a characteristic of the entire Indigenous population. Following the First World War, similar feelings were expressed about Indigenous veterans and their family members. Unlike non-Indigenous veterans in Canada, if their applications were successful, those defined as “Indians” under the Indian Act did not receive their pensions directly. Various clauses within the Act allowed the Department of Indian Affairs to take responsibility for the administration of status First Nations’ pensions. Lazy, immoral and careless were commonly-used adjectives in the vocabulary of settlers interacting with Indigenous populations. These words were used to cast Indigenous peoples as unable or unwilling to act in their own best interest in order to justify the Department of Indian Affairs’ control of Indigenous veterans’ pensions. Indian Affairs’ policy of administering pensions and the stereotypical discourse of the ‘lazy Indian’ were self-perpetuating –– the discourse justified the policy, while the policy reinforced the discourse. Though nearly one hundred years separate these sentiments and the ones expressed in the letters published on Senator Beyak’s website, a deeply-held colonial ideology connects the two. This ideology places settler and Indigenous societies in opposition to one another –– the former ‘civilized’ and superior, the latter ‘primitive’ and lesser –– and justifies the assimilationist policies and dispossession of lands and resources of Indigenous peoples in North America. Senator Beyak’s comments and her “Letters of Support” represent a fundamental disconnect between contemporary Canadian society and its colonial past. Containing many half-truths and complete falsehoods, the misguided stereotypes they peddle represent another manifestation of the colonial ideologies that can be traced from the early contact period to the French traders of the eighteenth-century Illinois Country to Canadian government officials in the twentieth century and up to the present. “True reconciliation comes when both sides understand each other and recognize our shared history and future,” writes Cree columnist Doug Cuthand. By understanding that the ideas expressed in the “Letters of Support” exist simultaneously in the past and present, the link between these distorted and misguided stereotypes of Indigenous peoples and settler colonialism should be apparent. By accepting that our “shared history” is one fundamentally shaped by the ideologies of settler colonialism –– and the resistances against them –– perhaps we can use historical inquiry to combat stereotypes to build cross-cultural awareness, understanding, and accountability, as we broach the process of truth and reconciliation. A descendent of Mennonite settlers in Saskatchewan, Samuel Derksen is a Ph.D. Student, whose research examines cross-cultural trade and consumption in colonial North America. He studies at McGill University on the traditional land of the Haudenosaunee and Anishinabeg nations. Eric Story, a settler of German and British ancestry, is a Ph.D. Student at Wilfrid Laurier University, located on the Haldimand Tract and the traditional territory of the Anishinaabe, Haudenosaunee and Neutral people. His research focuses on the effects of tuberculosis in nineteenth- and twentieth-century Canada. Chelsea Vowel, Indigenous Writes: A Guide to First Nations, Métis and Inuit Issues in Canada (Winnipeg: Highwater Press, 2016). Harold Johnson, Firewater: How Alcohol is Killing my People (And Yours) (Regina: University of Regina Press, 2016). John Sutton Lutz, Makùk: A New History of Aboriginal-White Relations (Vancouver: UBC Press, 2008). Richard Thatcher, Fighting Firewater Fictions: Moving Beyond the Disease Model of Alcoholism in First Nations (Toronto: University of Toronto Press, 2004). Robert Jago, “Why is Senator Lynn Beyak Publishing Racist Letters on her Website?”, The Walrus, January 3, 2018. Louis Vivier, “Letter from Father Vivier, Missionary among the Illinois, to Father ***,” in The Jesuit Relations, 69: 145–9; Jean Bossu, Travels through that Part of North America formerly called Louisiana, trans. John Reinhold Forster (London: T. Cavies, 1771), 1:196–7. Veterans Affairs Canada First World War Pension Files, Laurier Centre for Military Strategic and Disarmament Studies Archives.